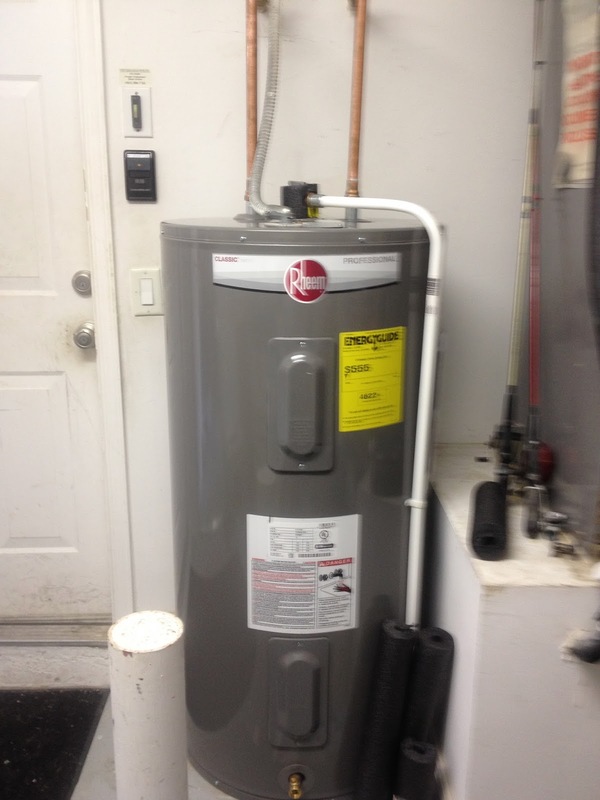 Electric Water Heater Installation a How to Guide. 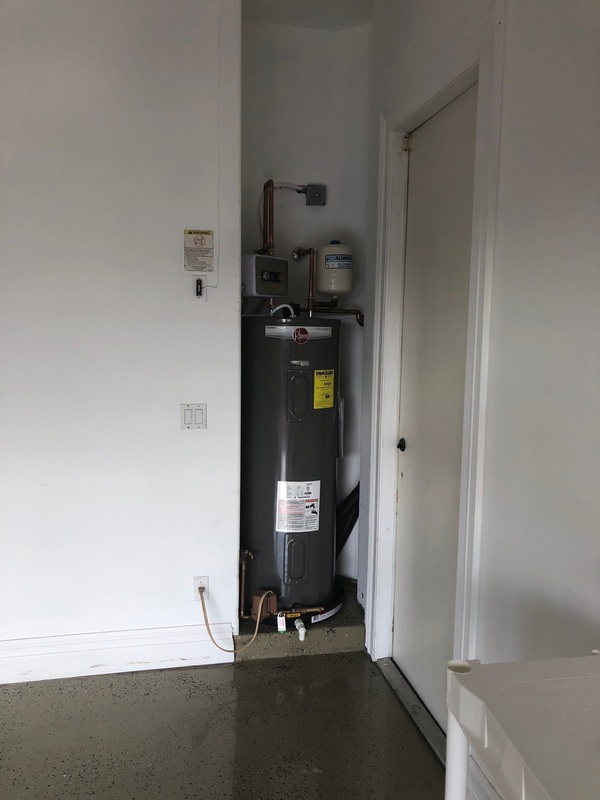 Eric the Plumber from Water Heating Experts WHE has a step by step guide of how we install electric hot water heaters in a garage. You can use this guide if you are skilled at do it your self projects. 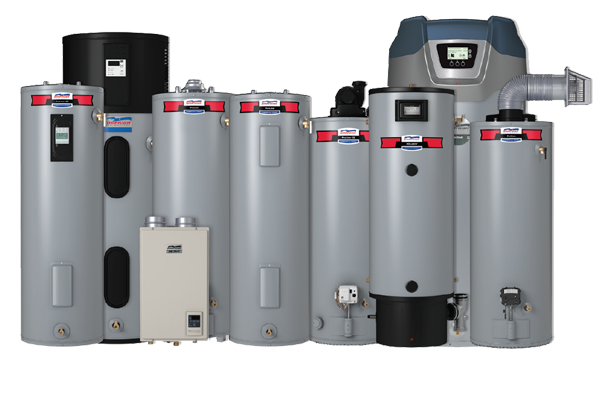 Also, if you want a professional to install your water heater this is the process that we take to install your water heater. How to Install an Electric Water Heater In A Garage Step by Step. Locate the Electric Panel and Find The Breaker for the Water Heater. Find the Electric Panel and turn of the breaker for the water heater. Note: The marking may be wrong, so always check to make sure the power is off with a tester or multi-meter. Take the cover off the electrical connections and remove the wiring. Secure the wire away from your work area and cover the bare ends of the wiring. Hook a hose to the drain at the bottom of the Water Heater. You can use a pump if you have one or let it drain the slow way. Note: you will need to open up the T&P valve or a hot side faucet in the home to break the airlock. Tip Leave the main valve on at full pressure for a few minutes to push out any sediment blocks. Then turn off the main water to the home and let the water heater drain with gravity or with your pump. Cut the piping that attaches the Water Heater to the House Plumbing. Cut the copper piping or disconnect the flexible connections to the water heater. Do not cut too close to the wall because it will be hard to solder on a new ball valve for your new water heater. Remove the old water heater. It will be much lighter now that it is drained. However, it still can require 2 people to load it into a truck. Clean the area around the water heater and prepare the piping that comes out of the wall for new plumbing valves and piping. Clean the piping that comes out of the wall with sand cloth and then use flux on both the valves, fittings and pipe. All connection areas should be cleaned with a wire brush or sand cloth and coated with a thin layer of flux. Solder on some female adapters and one male adapter for the T&P valve. Then attach those pipes to the water heater’s threaded connections. Be sure to use plumber’s tape and some pipe dope. Also, do solder the pipes and let them cool down before attaching to the water heater. 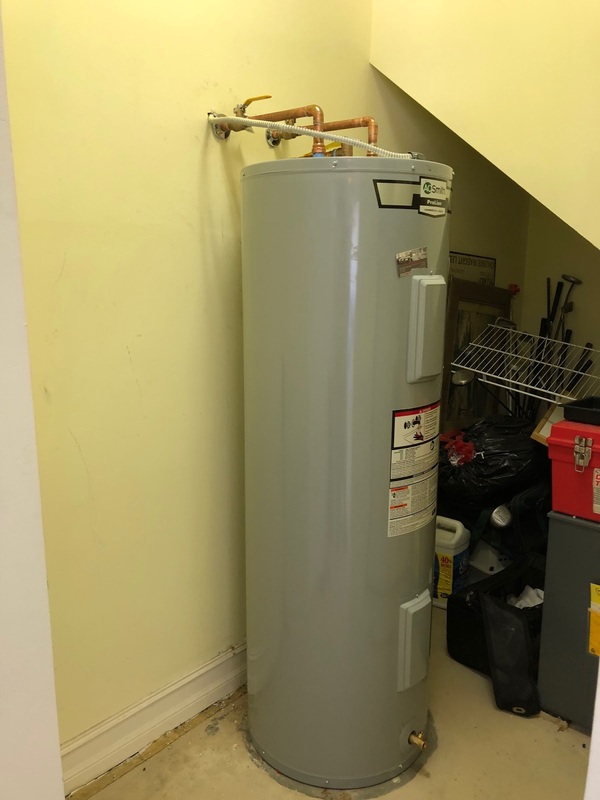 Make Your Final Plumbing Connections to the Pipes from the wall to the pipes on the water heater. Solder the pipes that are on the water heater to the pipes that extend from the wall. Now that your final connections are made, you can turn on the water to the home and keep one hot side faucet open. Usually a laundry faucet or a large roman tub. Note: smaller faucets may get clogged because of the sediment left over. Make your final Wire Connections with new wire nuts to the wire that you took off from the old water heater. Note, make sure everything is in good condition and that the breaker is the correct size for the water heating elements. Turn on the breaker, test that you have power to the unit and you now have a new water heater installed the correct way. Water heater smells like rotten eggs or worse? In areas with sulfides in the water, like many well systems in Palm Beach County. (Jupiter Farms, The Acreage, Palm Beach Country Estates, and Loxahatchee), there is a reaction with magnesium anodes which creates hydrogen sulfide gas. The gas smells like rotten eggs or worse. A powered anode rod can solve this issue. Electricity is used along with a titanium clad electrode to protect the steel in your water heater. No chemicals are added to the water and this will stop the smelly water created by the chemical reaction. This powered anode rod will also extend the life of your water heater tank.